Liao is also interested in finding out if probiotics can benefit baby pigs. 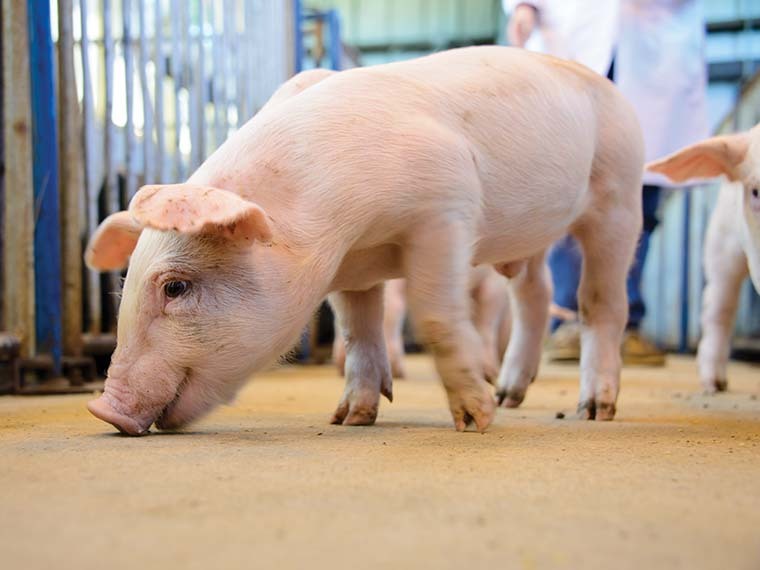 He evaluated the effects of selenium-enriched probiotics on weanling piglets. The results were promising. The probiotics may help reduce heat stress while promoting growth. The particular probiotic can enhance antioxidative capacity and thyroid function. It can also produce a more stable and healthy gastrointestinal ecosystem, and improve animal performance. This may be a better probiotic feed additive to promote growth, especially under heat stress. Pork, the most consumed meat in the world, is one of the most economical sources of animal protein for human consumption. 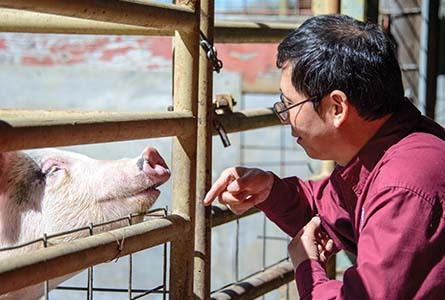 Dr. Shengfa Liao, assistant professor in the Department of Animal and Dairy Sciences, grew up in a remote village in China when and where pork was a rare treat. As an Experiment Station researcher, he focuses on finding ways to enhance pork production by increasing feed efficiency for producers and improving animal welfare at the same time. Feed accounts for the largest cost in most animal production systems, so ensuring each animal gets the nutrients it needs as easily and efficiently as possible is not only central to a producer’s viability, it is also part of the larger picture of enhancing animal welfare. 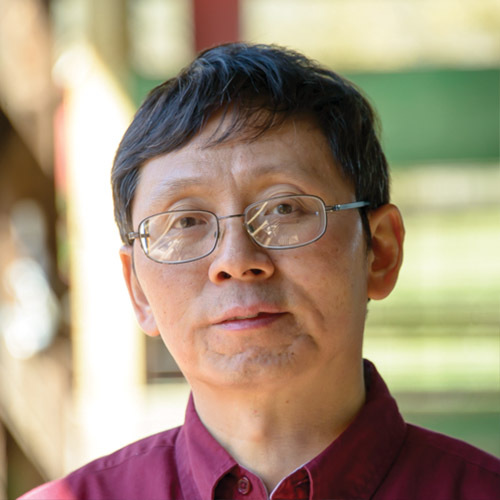 While his research is ongoing, Liao has found that amino acids, such as lysine, in particular, appear to greatly improve the production performance of the animal when used precisely. In one study examining pigs on three different diets—one with a low lysine level, one with a medium lysine level, and one with a high lysine level—scientists found a correlation between pig body weight and amount of lysine fed. Pigs given the medium and high lysine-enriched diets had greater body weights than those on the low-lysine diet. Dr. Shengfa Liao examines swine at the H.H. Leveck Animal Research Center on the Mississippi State University campus. Photo by David Ammon. Lysine impacts a number of biological functions within the pig, from metabolism of other nutrients to production of hormones. Lysine deficiency can lead to the animal getting sick more frequently. Improving feed efficiency also cuts down on the amount of manure generated, which helps the environment. “Producers care deeply about what they do, and that means they want to find ways to raise pigs that consider economics, efficiency, and animal welfare,” Crenshaw said. This research, according to Crenshaw, also brings us a step closer to solving human-centric problems, such as obesity. As researchers assess how amino acids impact the metabolism in pigs, scientists may one day be able to apply their findings to a human model. “Human and pig digestive systems are very similar. For this reason, research on metabolic pathways of pigs could be applied by other researchers to better understand human metabolism,” Crenshaw explained. Over one third of Americans are considered obese, and, according to the Centers for Disease Control and Prevention, Mississippi was one of three states in the nation with a prevalence of obesity among more than 35 percent of the state’s population. The preliminary research done with pigs could have a widespread impact by guiding scientists toward potential ways to combat obesity in people. While more research is needed to understand how selected nutrients influence metabolic pathways in pigs before this knowledge can be applied to similar studies with humans, understanding how amino acids impact weight gain is a vital first step. Focus: Teaching swine science and production, research on swine nutrition. Passion At Work: I believe that without interactions with students, our research impact could never be amplified and continued.